At Counterforce Central Alarm Services, we pride ourselves in offering a personalized service to all of our clients while servicing the Tri-State area. Counterforce Central stands out among its competitors by offering the highest quality of service and committment to its customers. Our personalized service includes exceptional support where our main principals are available over the phone when needed. We believe you should be able to speak with us when needed. This type of personal touch helps us towards our goal of 100% customer statisfaction which we have been doing for over 33 years now. 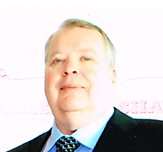 Mr. Gary Rose has been involved in all areas of the alarm industry for over 58 years. His expertise encompasses all areas of the alarm industry. Associated with many Central Stations during his career, he incorporated his knowledge into creating Counterforce Central Alarm Services over 33 years ago. 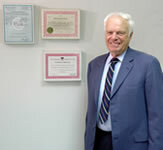 He enjoys incorporating new technology so that all his clients can utilize the system to their advantage. Mr. Gary Rose is a Director of the MBFAA. His knowledge and caring of his clients is unparalleled in the industry. Mr. Phil Blair has been in the alarm industry for the past 40 years, the last 30 years he has been a Central Station Manager. A born and bred New Yorker he looks forward to assisting and aiding all of his clients in their security needs. Copyright 2013 Coouterforce Alarm Services Corp.